Dr. Latham has served as our Chief Scientific Officer since co-founding Alder BioPharmaceuticals in January 2004. From 1998 to 2004, Dr. Latham served as a director, senior director, and most recently as Vice President of Gene Function and Target Validation for Celltech Group plc. 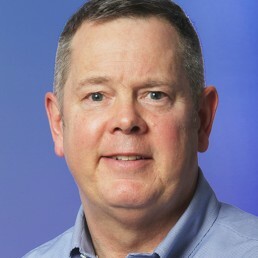 In 1994, Dr. Latham joined Darwin Molecular Corporation, a first-generation gene-to-drug biotechnology company, as a founding director, where he served from 1994 to 1998. Dr. Latham was one of the early scientists hired by Gilead Sciences, Inc., a biopharmaceutical company, and, from 1989 to 1994, he was a member of a core group established to exploit novel oligonucleotide-based technologies. Dr. Latham holds a Ph.D. in Biochemistry from Massachusetts Institute of Technology and a B.S. in Chemistry from Colorado State University.